– The Middle zippered compartment of 350 cu. in. of space with three internal pockets. – The Front Top Compartment (49 cu. in) has a loop fastener patch on the outside for hook & loop name tapes and/or moral patches. – The Front Bottom Compartment (161 cu. in.) with some internal organizational pockets and a Snap-Hook keychain holder. 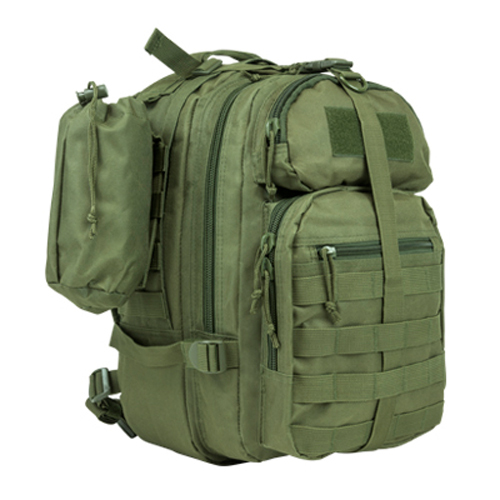 – MOLLE compatible webbing sewn onto the Bottom Front Compartment and the Sides of the backpack, to make the Sling Backpack a modular system. 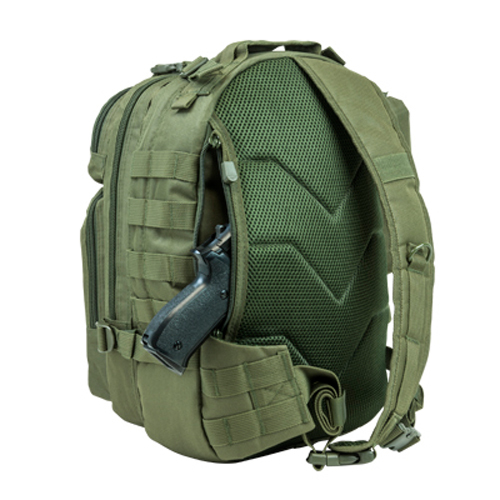 – The backpack also features a large discreet, padded, and lockable CCW Pistol Compartment on the back with a small padlock compatible Metal Zippers (padlock not included). 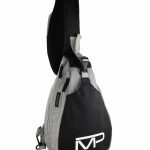 – Other features include: adjustable padded single shoulder strap with quick connect buckle, adjustable side support strap with quick connect buckle, and a top heavy duty carrying handle. 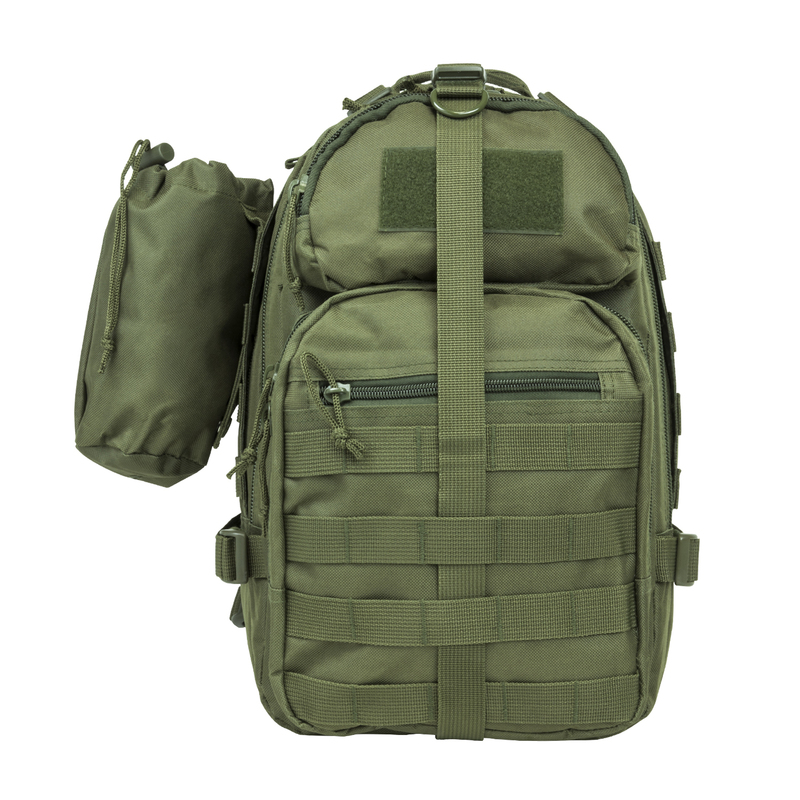 – This is a Sling Backpack has a lot of storage space for its size with many compartments and pockets to help organize your gear. 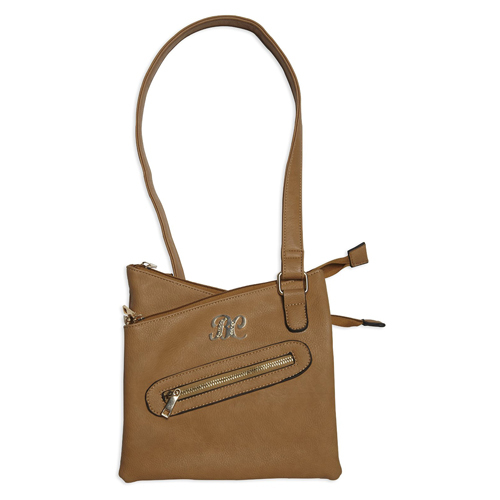 – A discreet way of carrying a concealed carry weapon. 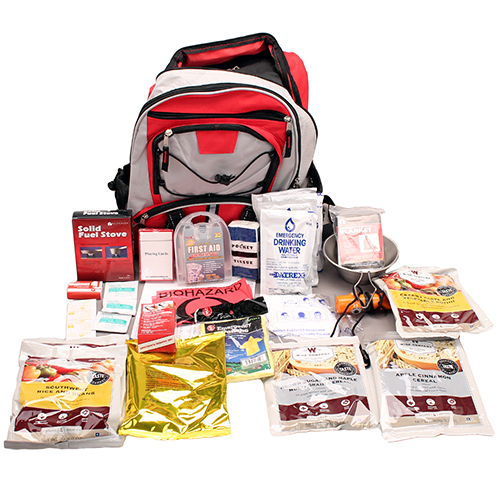 – Front Compartments: Top 4.0″ H x 7.0″ W x 1.75″ D with 2.0″ H x 3.75″ W loop fastener patch sewn onto the front for hook & loop patches. – Front Compartments: Bottom 9.5″H x 8.5″W x 2.0″ D with Internal pocket: 5.5″ H x 6.75″ W, Internal small pocket and 3 pen slots: 4.25″ H, and Internal Snap-Hook key chain holder. 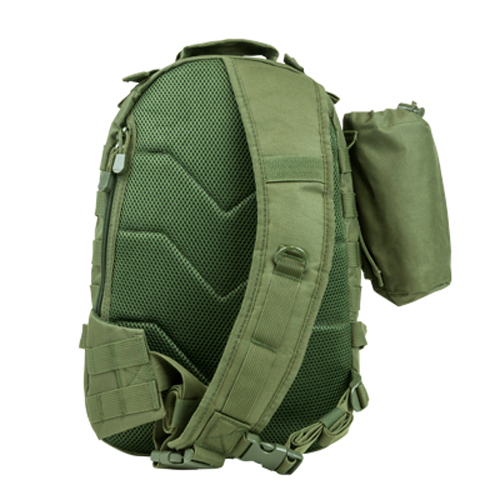 – MOLLE compatible webbing on Front Bottom Compartment and on both Sides of the backpack. – Adjustable Padded single shoulder strap with metal D-ring and quick connect plastic buckle. Adjustable side support strap with quick connect buckle, which is also removable. Hook and Loop fastener ends to keep the excess webbing organized and clean looking. – Large Heavy Duty Zippers with Silent Cord Pulls. – Adjustable Vertical Compression strap with quick connect buckle and metal pull D-Ring. 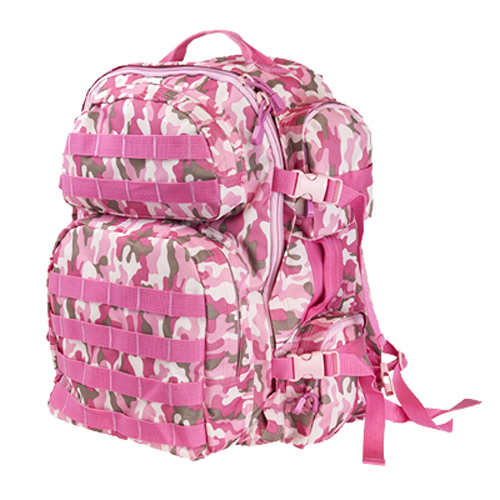 – Adjustable Side Compression straps on each Side of the backpack. Be the first to review “NcStar Small Backpack/Bottle Holder Green” Click here to cancel reply.